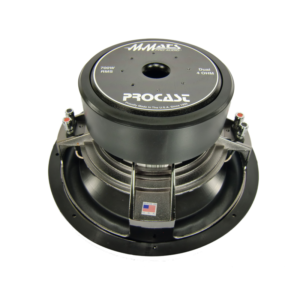 Procast, formerly known as P3 series, has been our best-selling subwoofer for over 10 years. It absolutely excels in Band-pass enclosures. Ported, you will experience a 3dB gain in bass at the resonate frequency and if you choose to go sealed it is extremely smooth and has a low F3 as well. Features include a 3” Aluminum/Kapton voice coil, 8” flat-spider suspension, Polypropylene cone and dust cover, 140 ounce double stacked magnets and 600 watt power handling. Proudly made in the USA! 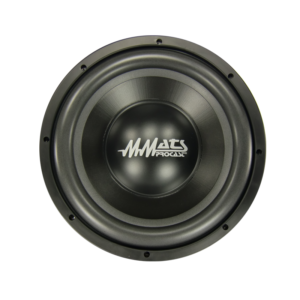 The Procast series subwoofers have a high strength cast aluminum frame designed to resist twisting and flexing during powerful bass notes or when fastened to a slightly uneven surface. The polyproylene cone delivers extremely accurate bass that will create a very well defined satisfying sound quality that your friends will be envious of. 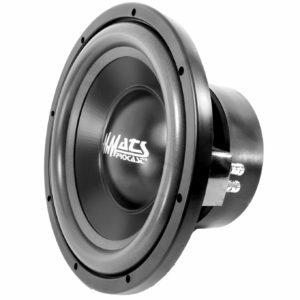 If you are seeking a great sounding subwoofer that will deliver high quality well defined bass and yet won’t break the bank. View cart “ProCast12” has been added to your cart.